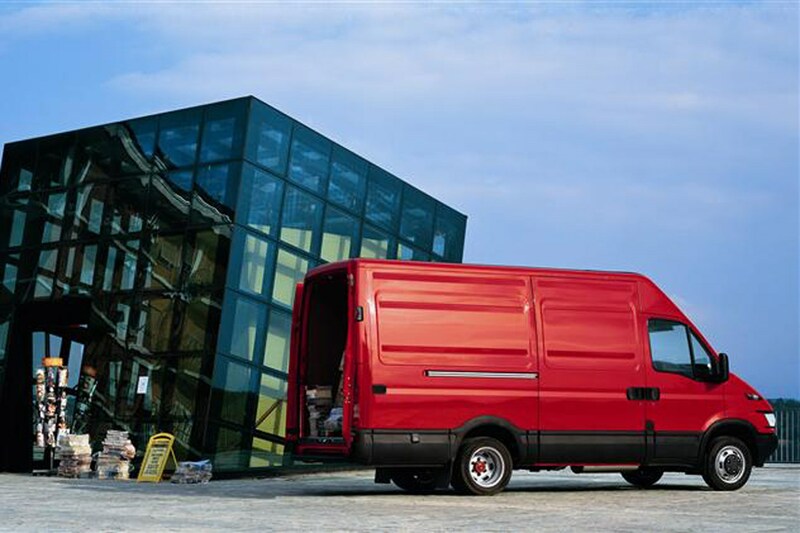 The Iveco Daily combines size and strength to deliver a true workhorse capable of shifting some serious cargo. As in the cabin, everything looks chunky and solid, including the rear doors. The rear bumper also incorporates a handy step which will help climbing aboard when loading up. The Iveco Daily has almost vertical sides (the angle at which a van's sides narrow at the top is called the 'tumblehome' by the way) so it makes the most of the available space and load volumes vary from seven cubic metres to 17 cubic metres depending on the model chosen. The Ievco Daily can carry payloads from 1,075kg to 3,860kg. Of course models over 3.5-tonnes gross vehicle weight will require a tachograph.